Theme park operator DXB Entertainments has said it expects to see higher costs than previously anticipated as it moves into its first full year of operations. In its Q3 results the firm, formerly known as Dubai Parks and Resorts, said its total assets stood at Dhs12bn ($3.26bn) and it maintained its revenue outlook for its first full years of operations at Dhs2.4bn ($653.4m). “However we expect to see a slightly higher cost structure than originally anticipated largely due to an increase in staff costs and facilities management costs. The company continues to identify means to mitigate these costs,” the company said. DXB Entertainments opened its first theme park, Legoland Dubai, and the accompanying Riverland entertainment district on October 31. 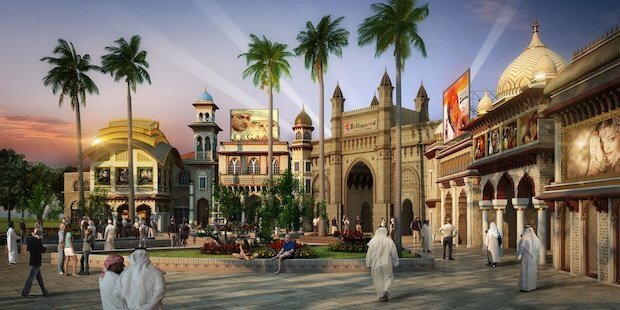 Bollywood Parks is due to open on November 17 with Hollywood-themed Motiongate planned to follow on December 16, having been originally planned for the same late October opening date. Raed Kajoor Al Nuaimi, CEO of DXB Entertainments said international sales are forecast to generate 70 per cent of visitors to the parks driven by marketing operations in Saudi Arabia, the UK, Germany, India, China, Nigeria and Russia. The company also has 125 destination management company deals and 70 tour operator agreements, he said. Revenue generating deals with Dubai First for a co-branded credit card and Gulf Islamic Investments for a five-year profit sharing agreement covering a parking management system have also been signed. The parking deal will see customers pay Dhs50-80 a day for parking and Dhs120-150 for VIP and valet services for the attraction’s 10,000 spaces. Al Nuaimi added that lease proposals for 84 per cent of space at Riverland had been signed and the company had expanded outside of its theme park attraction through an arena management deal with parent company Meraas. “The company’s core focus will remain theme parks and retail and hospitality offerings with a longer-term ambition to move into the wider media and entertainment space,” he said. Outside of these plans, DXB will add to its three theme parks with a Six Flags-branded destination in 2019.